A 1943 graduate of Darien High School (and first-ever girl drum major), Pat has maintained a lifelong connection to the DCA, where she has volunteered at the DCA Thrift Shop for over 25 years. After graduation, she joined the U.S. Cadet Nurse Corps and then worked for Seaboard World Airlines for many years, where she used her nursing degree to provide on-board care for military personnel. Pat’s love of travel and adventure has never wavered — and even included a zip-line ride on a recent trip to Alaska. The recipient of a DCA scholarship in 2003, Abbie lives in Utah and works as the development director for a nonprofit providing recreational opportunities for individuals with disabilities. After graduating from Washington and Lee University in 2007, she spent two years in Ukraine with the Peace Corps. She also holds a master’s degree in public administration, with a nonprofit management focus, from the University of Southern California. Susan’s relationship with the DCA has come full-circle, as she serves on the DCA Board of Directors. She attended Georgetown University where she majored in business, and then had a career in advertising sales with Hearst Magazines, Lifetime Television, and the A&E Networks. She and her husband have lived in Darien since 1990 where their three children also attended Darien High School. In addition to the DCA, Susan has volunteered and held leadership positions with Person-to-Person, OPUS, Kid-to-Kid, TOPS, The Depot and The Juvenile Diabetes Research Foundation. Ali graduated from The Wharton School at The University of Pennsylvania in 2005 with a bachelor’s degree in business, and a concentration in marketing. She currently works for JUICE Pharma, a pharmaceutical advertising agency in New York City. She lived in New York as well, but recently married a fellow Darienite. She and her husband have now returned to the town in which they grew up. Mary graduated in 2005 from the University of Pennsylvania. She spent many years working in the cosmetics industry for several companies, most notably Sephora, in various parts of the country including New York City, Chicago and Madison, Wisconsin. Mary has recently decided to switch directions and pursue a teaching career. She is currently taking some prerequisite courses for entrance into a Secondary English Education master’s program, and is working as a tutor at C2 Education in Fairfield in the meantime. She resides in Fairfield, CT with her husband and daughter. Kelly graduated from Boston College in 2005, majoring in elementary education and human development. She continued her studies at the Harvard Graduate School of Education and received her master’s degree in human development and psychology. 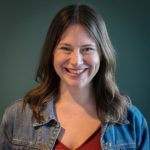 Since then, she’s been teaching in Framingham, Massachusetts at a public elementary school: six years as 3rd grade teacher, two years as a math coach, and currently as a 4th grade teacher. After receiving his undergraduate degree from Washington and Lee University, Brian graduated from the Georgetown University School of Medicine. He is currently a urologist in Virginia, where he lives with his wife and children. Michael-John graduated from the College of William and Mary and then attended the London School of Economics for his master’s degree. He has worked on the finance and operations side of creative businesses: in web and magazine publishing about art and culture, as well as at a design and innovation consulting firm. He’s currently a project management MBA intern at Verizon, and outside of work, enjoys travel. A member of the Class of 1984, BT attended Catholic University, pursuing a B.A. with an interest in theater. In the years following his graduation, he became a veteran of the Broadway theater community, as both a director and writer, working on the creative team of a dozen plays and musicals including the Tony-winning hits Spamalot, Cabaret, and Billy Elliot. He is the recipient of an Australian “Tony” for Best Direction. BT is currently the theater director for the city of La Mirada, California. 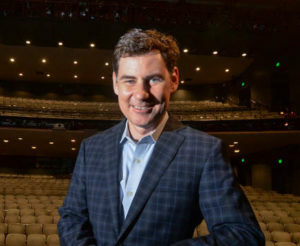 In his previous job as the Producing Artistic Director of The Palace Theater in Stamford, BT returned to the DCA as a featured speaker, discussing his career as well as happenings at The Palace. A member of the Darien High School Class of 1993, Sandy majored in English at Hobart and William Smith Colleges, with a minor in education and dual teaching certification. While at school, she had the opportunity to do student teaching in her college community, continue her love of ballet and dance, and also spend time studying abroad in Bath, England. She received her master’s from the University of Bridgeport. Sandy is now a kindergarten teacher at Ox Ridge Elementary School in Darien, and recounts that her own first grade teacher, Harriet Abel at Royle School, was her inspiration. She and her husband are busy with their children, and enjoy camping and hiking. Sandy has also stayed involved at Noroton Presbyterian Church, where she’s been a lifetime parishioner. Tricia graduated from the University of Connecticut in 2005 with her BS and in 2006 with her MS in physical therapy. Her clinical area of expertise is pediatric sports medicine. She completed her doctorate in education (EdD) from the University of St. Augustine for Health Sciences in 2017. Her dissertation was titled “The impact of video-guided self-reflection on the metacognitive and motivational attributes of physical therapy students.” Tricia is currently an assistant professor at the University of Hartford, teaching in the doctoral physical therapy program, and lives in South Windsor, Connecticut with her husband and children. After graduating from Darien High School (DHS) in 2006, Kirsty went on to Bard College and received a B.A. in film and electronic arts. While at Bard, she was part of a search committee to find a new film history professor and completed a senior film thesis that included a film and installation of videos. Immediately following college, Kirsty interned at the editorial department of Parade magazine. Kirsty recently returned to her hometown of Darien to get married, holding her wedding ceremony and reception at the DCA (where she also hosted her high school graduation party). She and her husband Ben currently live and work in Nashville, TN, where Kirsty is a marketing manager at a small technology company called Rustici Software. In her free time she enjoys cooking, doing yoga and making art.